If you love playing cards (or know someone who does), this set is sure to be a hit! And if you love wiggly crochet, it’s a double hit! All four playing card suits are included in the set, which is worked in the wiggly crochet method. 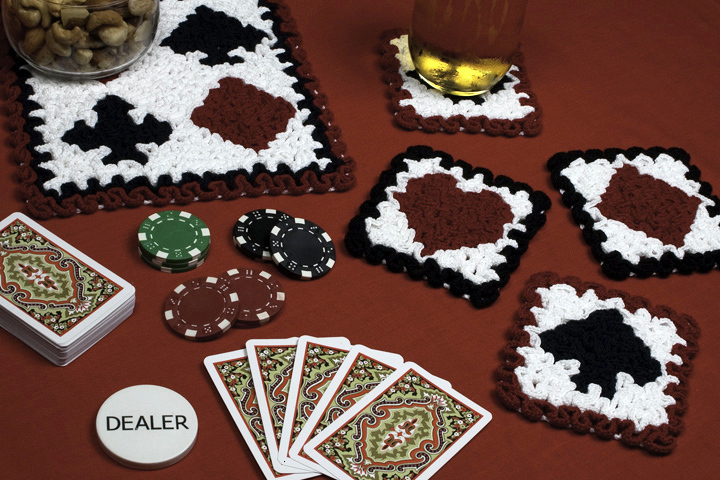 With this “suited” centerpiece and coasters, you’ll be the talk of your bridge club or poker party! This pattern includes written instructions and a wiggly crochet chart for each of the 5 projects.